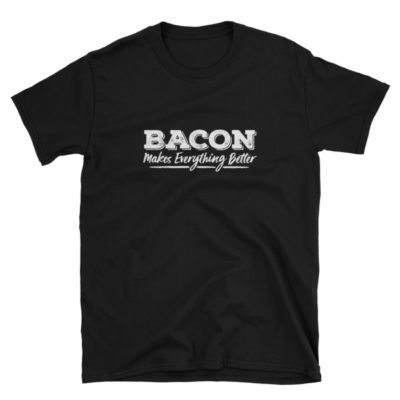 You know bacon makes everything better, it’s a scientific fact. 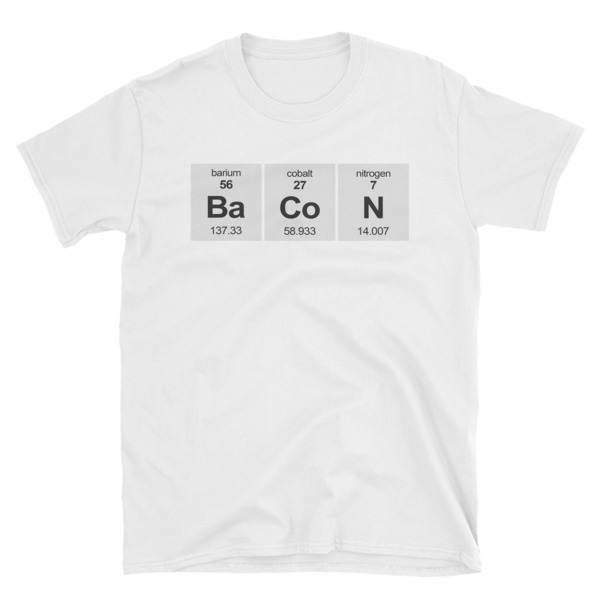 So show off your science pride in bacon with this periodic table of bacon. Sure barium, cobalt, and nitrogen don’t actually create bacon, bacon comes from tasty pigs. 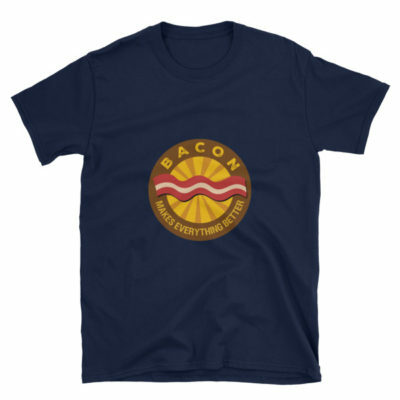 But you can let everyone else figure out just what you’re trying to say with this great shirt.